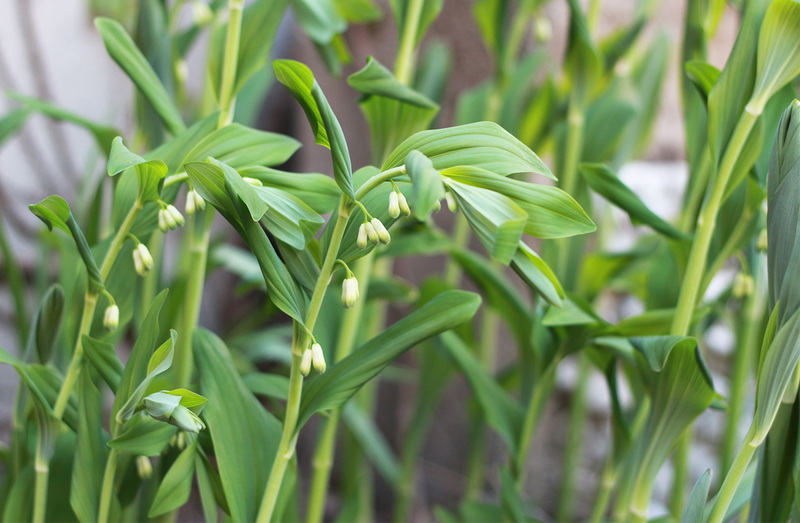 Polygonatum biflorum - Solomon's seal, beginning to bloom here at Chez Mosquito (no sign of mosquitoes yet - sssssssh! Don't wake them up!). This is a Northeastern woodland perennial. I divided the large clump late last year and the Solomon's seal is now growing in three spots in the beds that edge the garden. Because the clump was so mature I had the luxury of digging up some of the rhizomes and eating them. Very crisp and slightly sweet. Please don't do this in the woods. Eat your own. An interesting indigenous food. Since it is Earth Day (isn't every day?) 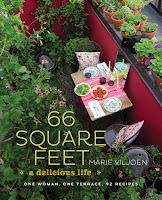 - I might as well drag the soapbox over and say: garden consciously. Make informed choices. Research what is invasive in your area. Just because it is pretty doesn't mean you should plant it. Your personal choices affect the bigger picture. Depending on where you live, dig out your loosestrife, ban the invasive barberry, toss the burning bush, do not plant those morning glories. Plant more natives - they are well-adapted to your conditions. Ask for them at your local nursery. Demand them at Home Depot. And while you're at it. Eat the weeds. 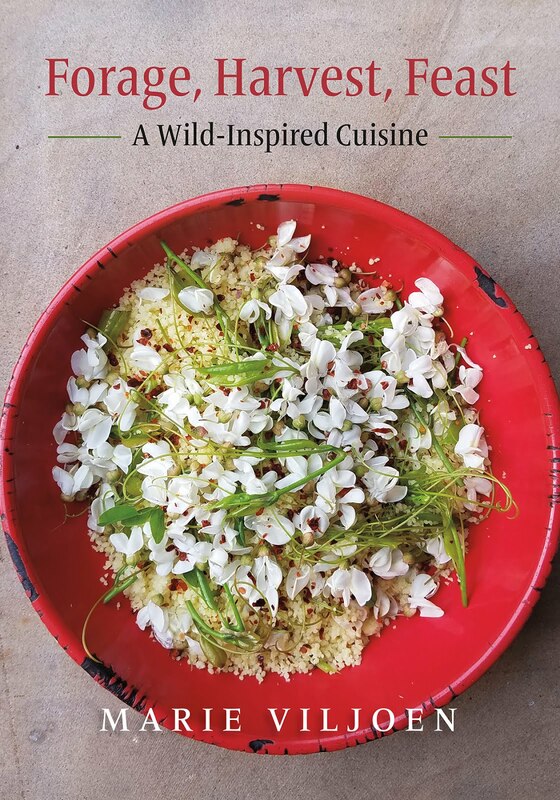 The rest of my day will see me making garlic mustard (Alliaria petiolata) pesto and ground elder (goutweed, Aegopodium podagraria) and garlic mustard summer rolls. For tomorrow's wild foods walk in Central Park. See you there. i grew up in the suburban edge of rural new jersey. our front yard was covered by woodland w/ solomon's seal and mayapples, dutchman's britches, various ferns, mountain laurel, native rhododendren and clumps of daylilies and violets and a rare lady's slipper...then the deer returned in force. all are now gone from most of the mountainside as is most of the undergrowth. what's left are magestic old trees and decaying leaves and exotics the deer avoid forsethia, wisteria, and daffodils, russian sage, pines. when i return to visit i always think of these plants and wonder how to get them back. Sadly I got a few bites on my way home yesterday. The reality begins. Thank you, Alexis. I see the active ingredient is pyrethrum, which, while approved for organic use, is pretty toxic, actually - plants can pack plenty of poison (think of tobacco), though it's tempting to think they do not affect us. I'd be careful of burning it indoors and inhaling it on regular basis. Hi Marie. Luckily I don't use it too much! Sadly mosquitoes are just one of those age old problems. I got bit this past weekend while out planting....it's going to be a bad bug season, I'm afraid, after the mild winter we had. Sigh....it's just one of those things we gardeners must deal with!! Pretty photo. Native Solomon's Seal has decided to colonize under an old crabapple tree in a wildish part of the garden. It makes me happy. It's beautiful, and seems to hold its own against the very spready, invasive, not native grass (I call it quack grass, but not really sure of it's true name), and the deer do not eat it. A nice plant.